Rockies reliever Jake McGee got the out he wanted, a shallow fly ball, to the guy he wanted, right fielder Carlos Gonzalez, but according to manager Bud Black “the hop just wasn’t right” on Gonzalez’s throw to the plate. 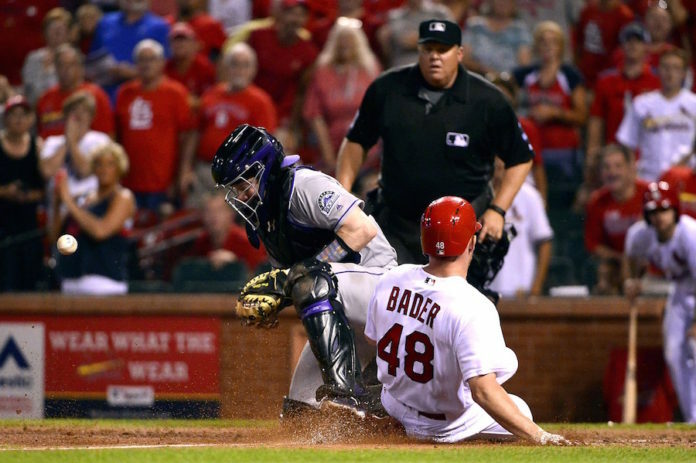 The throw short-hopped Rockies catcher Ryan Hanigan and rookie Harrison Bader, playing in his first MLB game, scored the game-winning run in Tuesday’s 3-2 Cardinals victory over the Rockies. It was speed against one of the best defensive outfielders and arms in the game, Gonzalez.